The Open is just around the corner. If you don’t know what the Open is or are teetering whether you should participate: we have you covered! Don’t forget to check out the awesome shirts designed by our very own Coach Oz – last day to order one is Feb. 8. Don’t worry, Owen only thinks he’s going to pass out. For those of you who are new to CrossFit or have never participated in the Open: the Open is basically awesome. At CrossFit West Seattle, it means 5 weeks dedicated to us getting together as a community every Friday for Friday Night Lights – we workout together, cheer, laugh, drink post-celebratory beverages and support each other as we dig deep to get through the mental struggles of pushing ourselves during a WOD. We all leave every week feeling accomplished. The CrossFit Open starts on February 22 and runs 5 weeks. First step is to register and make sure that you register as part of the CrossFit West Seattle team. It costs $22 and only takes a few minutes to register. They even have an app you can download onto your phone. To register visit the Open’s website. During regular class time on Friday’s we do the workout released by the Open – they post a new workout every Thursday evening for 5 weeks. We never know what the workout will be. You can do the workout Rx and there is also a modified version of the workout for the scaled division. If you register for the Open, you are paired with one of your classmates who will judge you: basically he or she will count your reps, rounds and keep your time. At the end of the workout, you take your score and upload it to the Open’s website. Cool thing about it is that you will have a record of your scores from previous years. We all know how good it is for us to compete against ourselves. 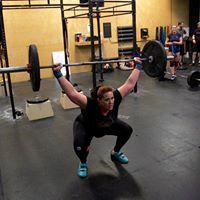 Is that Katie hitting a PR? Not even close, she got a lot more weight on that bar during the workout. ONE. It will make you fitter. You come into the gym, train and work hard day in and day out. 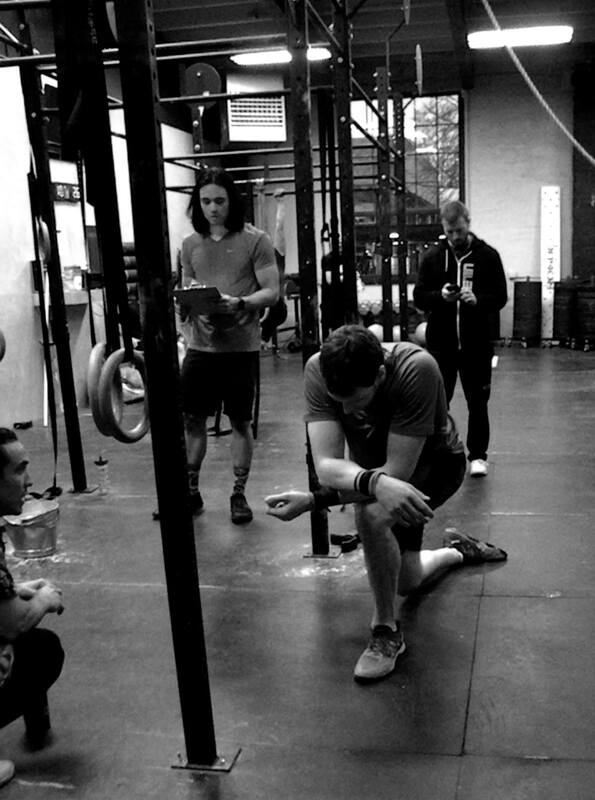 Participating in the Open will teach you something that the everyday grind will not. It doesn’t matter if you do the Open workouts scaled or Rx – you will hit PR’s, Rx standards and other things you never thought was possible. TWO. You will have fun. You’ll notice during the Open, there’s a special energy around the gym. People will be trying to predict the next workout and talking about strategy. You may feel left out of the positive buzz. THREE. We put on Friday Night Lights and these events for YOU – so you can grow, learn from exhilarating moments and be part of a community. One of the best ways to empower yourself is to step out of your comfort zone and try something new. Danielle and coaches will be happy to answer any questions you may have about the Open. If you’re asking yourself if you are ready: the answer is YES! 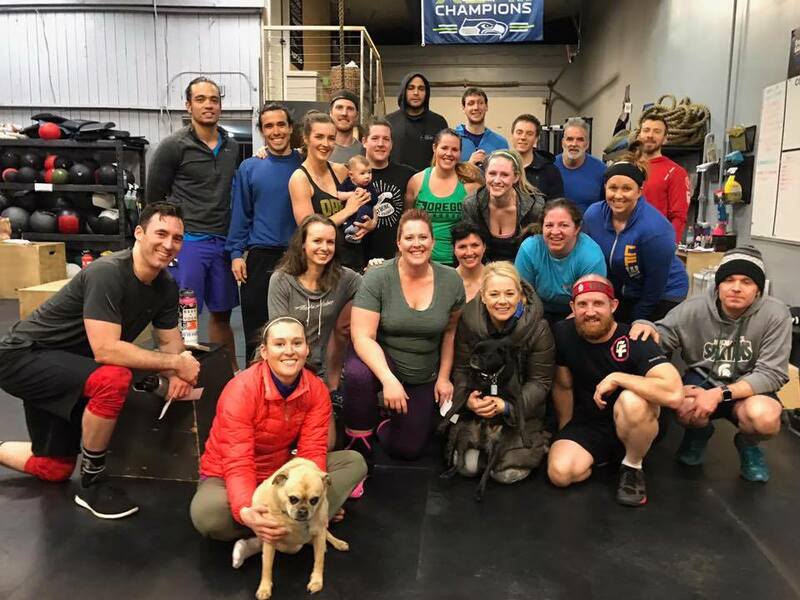 Here’s to a great Open at CrossFit West Seattle. Look at all these happy people at the Open 17!